Nashville's Southwest crew recently went full Taylor Swift, and you are never supposed to go full Taylor Swift. 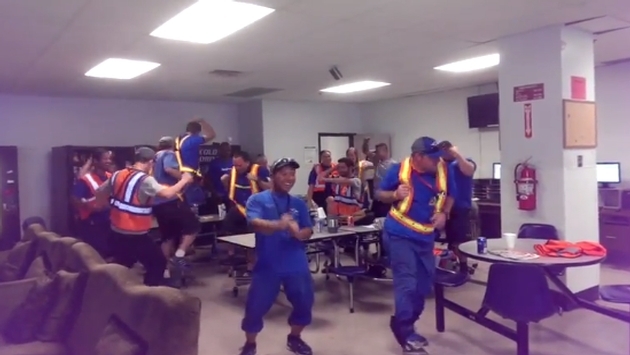 The Huffington Post's Suzy Strutner spotted the following lighthearted video that shows the Nashville International Airport "ramp & ops crew" perform a lip-sync masterpiece to the sugary pop hit "Shake It Off." Come for the awkward dancing but stay for the awesome tummy jiggle. It's refreshing to see some hardworking individuals let loose and spread some cheer. As of this writing, the video has nearly 40,000 views and over 450 likes on YouTube. We await patiently the crew's next big hit.